How often should I post on Facebook? How often should I tweet? How many videos should I upload to YouTube a month? It’s interesting that more people ask about the quantity of their social media posts rather than the quality of that content. In the world of social media, the quality of the idea (not necessarily the quality of the video or image itself) always reigns. If it is something worth sharing and the right people catch on, it will spread. However, the right quantity is also important because it helps people stay engaged, develop a relationship with your brand, and also keeps your content current. Yet, posting too often on some sites (such as Facebook) will dilute your message or create too much noise and make some people want to tune you out – even if everything you have to say is interesting, timely, and relevant to your audience. Facebook’s Edgerank System: While no one knows the exact algorithm in Facebook’s posting system, it’s generally recommended space out the number of posts by at least two hours. Otherwise, certain updates can be obscured. Besides, it’s annoying to have one page constantly taking up space in a user’s news feed. Remember, images and videos (hosted by Facebook, not by YouTube or Video) get priority over anything else. They’re also much more visual and engaging, especially for mobile users. Don’t Sync: Don’t allow your Twitter account to feed your Facebook page unless you do not use Twitter at all. It’s a different system, different audience. In fact, it’s generally not recommended to sync multiple social media accounts together because of the different formats and audiences. Imagine if you could connect your phone line to your email system. Does that make any sense? If you want to link the two, use Facebook to help drive posts on Twitter but not the other way around. But that’s only because it’s generally accepted to have a Twitter account as active as you’d like it to be. Are They Online? Thanks to social media metric service websites such as Tweriod, you can see when your followers are online. That’s the best time to post because that is when your posts are most likely to be seen. If it’s beyond your social media posting hours, then you can pre-schedule updates using services like TweetDeck or Hootsuite. Are They Tweeting Back? The outdated misconception that Twitter is a self-absorbed activity still persists but remember: social media is all about engagement. Conversations on Twitter are just as important as responding to comments on Facebook, so if your audience is talking back, don’t be afraid to jump into conversations. I’ve said it before, I’ll say it again: treat social media like a telephone, not a megaphone. Post Around the Clock: If possible, try spreading posts out throughout the day to create a well-rounded account. Don’t just limit yourself to certain hours. Create Different Channels for Different Audiences: Not all of your fans will be using the same social media channels. Some might prefer Vine to Instagram, some might use Tumblr or WordPress. Whatever they are, find the ones most used by your fans and consider focusing on those. When you do, you’ll learn that it will be acceptable/expected to post on some channels more than others. Find the sweet spot by following your fans and learning from them. There aren’t really hard and fast numbers about how often you should post, but you should use analytics to guide you. How often are people responding, sharing, tweeting back, or liking your posts? Is it hard to find important updates because they’re being obscured by other general announcements? How often does your audience want to hear from you? Just because they “like” you doesn’t mean they’re in love with you. And just because you have some followers, it doesn’t mean that you’re the only one leading the conversation. Social media is very much like a science as well as an art. Learn the tools and then trust your gut. 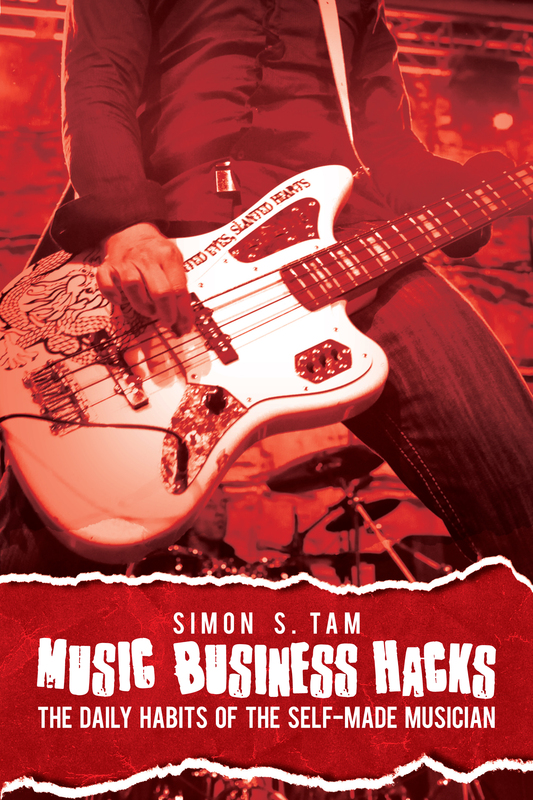 To find get specific tips on how to learn the science of social media, check out Music Business Hacks.